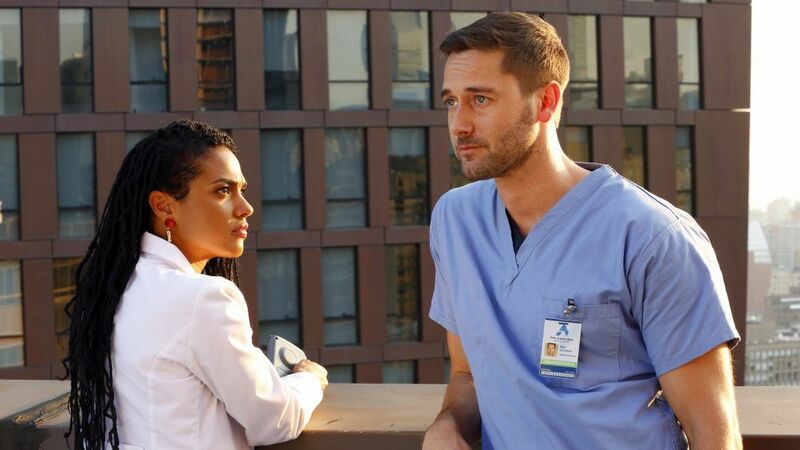 NBC's new medical drama, New Amsterdam, has been pulling at our heartstrings all season long. From Max (Ryan Eggold) being diagnosed with cancer and having to tell his pregnant wife to Dr. Kapoor (Anupam Kher) reconciling with his estranged son, the series is equal parts educational and tear-jerking. Dr. Eric Manheimer is also a writer and producer on the show. On Tuesday night's fall finale get the tissues because the transplant recipient of Max’s sister’s heart is admitted to the hospital with complications and there's no doubt he won't be unable to separate his personal feelings from the case. Meanwhile, Max is also trying to convince Dr. Sharpe (Freema Agyeman) to allow him to treat his cancer with a less invasive procedure and Dr. Kapoor's relationship with his son is tested.